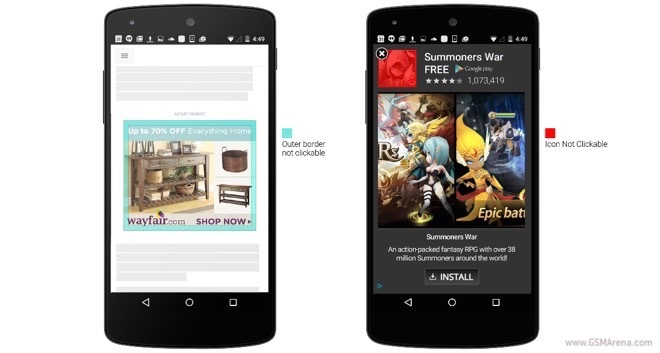 Google announced that it will improve the click quality of mobile display ads. Recent studies have revealed that up to 50% of the current clicks have been accidental. Going forward, the search giant will automatically block accidental clicks on several occasions. They include clicks close to an image’s edge and clicks on an app icon. A clickability delay for ads will also be added. The enhancements will allow users to enjoy the website they are browsing without ending up on another page or in an app store. Advertisers will also see improved conversion rates and reduced costs as a result of the changes.